Earlier this month, we reported how fake apps in Apple’s app store were becoming a bigger problem as the holiday shopping season gets underway. This type of fraud is one that consumers probably worry about most, maybe because the loss of hard-earned money is more tangible. However, there are more subtle ways that consumers can be swindled that are just as concerning, or maybe even more damaging. Fake reviews, for example, may seem less innocuous because some consumers feel that they still have some measure of control over what they buy. But make no mistake – fake reviews can undermine consumer confidence when it comes to buying products and using online services, which can have very real economic consequences. To counter this threat, researchers in China have been working to create an algorithm that can single out fake reviews on ecommerce sites. The researchers hope that their work will soon make it safer to buy products online, as well as allow consumers to get a truer picture of what products are actually worth. 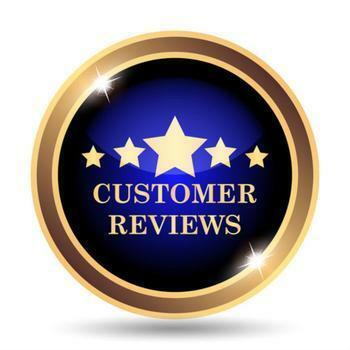 The method, developed by researcher Song Deng of Jiangxi Univeristy of Finance and Economics, works by analyzing the behavior of those who post reviews. First, it builds a model that can single out fake reviewers by examining past reviews, frequency of reviews, and content length. After it has established basic information, the algorithm moves on to examining other content features, such as review length, the degree of professionalism a review is written with, the emotional density, and other biases. The last step is what researchers call an “unsupervised clustering algorithm,” which allows the program to analyze reviewers’ behavior and improve accuracy over time. The researchers believe that their algorithm goes far beyond the capabilities of previous detection algorithms in spotting fake reviews. The researchers state that this is a necessary step, since shopping behavior is gradually changing and is taking place more and more online. Being able to trust online sources to give an unbiased, truthful account of a product will help consumers save money and restore trust in online marketplaces. The full study has been published in the International Journal of Services Operations and Informatics.